Google has been improving all of its features to cater to travelers, thanks to Destinations in search, the Google Trips app, and better Google Flights searches. Yesterday these three services got one more upgrade: they're now available in more languages and more countries. First up, Destinations in Google Search are now accessible in 14 new European and Asian languages: Bulgarian, Croatian, Czech, Filipino, Hungarian, Indonesian, Japanese, Lithuanian, Malaysian, Romanian, Russian, Serbian, Slovakian, and Slovenian. Second, Google Flights can now search for flights to 26 additional European countries: Albania, Armenia, Azerbaijan, Belarus, Bosnia and Herzegovina, Bulgaria, Croatia, Cyprus, Czechia, Estonia, Finland, Georgia, Greece, Greenland, Hungary, Iceland, Latvia, Lithuania, Macedonia, Moldova, Montenegro, Romania, Serbia, Slovenia, Slovakia, and Ukraine. 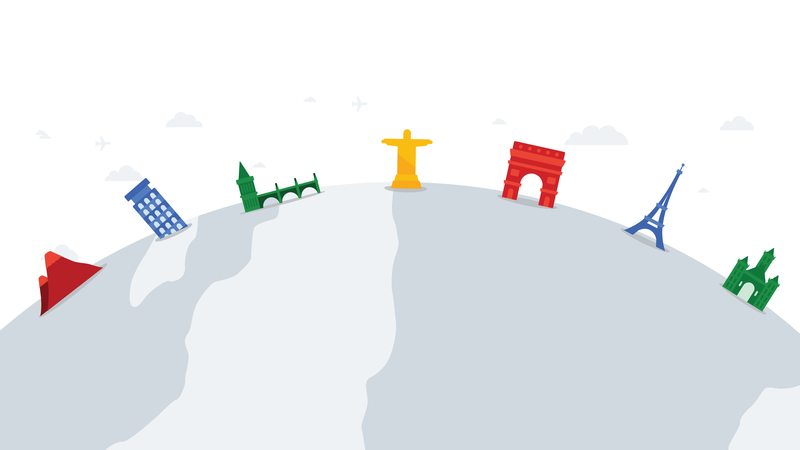 And finally, the mobile Google Trips app is adding support for 6 more languages: French, German, Italian, Portuguese, Spanish, and Japanese. The changes are already live in Destinations and Flights when you do your searches, and the Google Trips app has been updated to add the new languages.